Yes- It’s almost time:) Can you believe it? One of our family’s favorite traditions is advent calendars. While my kids love the inexpensive boxed ones you buy at the grocery store (we do those too), I love creating a more personal one for our family. In the bags, I stick favorite candies, stickers, school supplies and most important- coupons! The coupons promise trips to the ice cream store, family movie night, dinner out, anything I can think of to make the season a bit more magical. The kids work out a schedule deciding who opens the bag on which day. It’s fun watching them work together to unveil their treat. Attach the label to the bag. Fill the bag with a treat, hang from your ribbon. 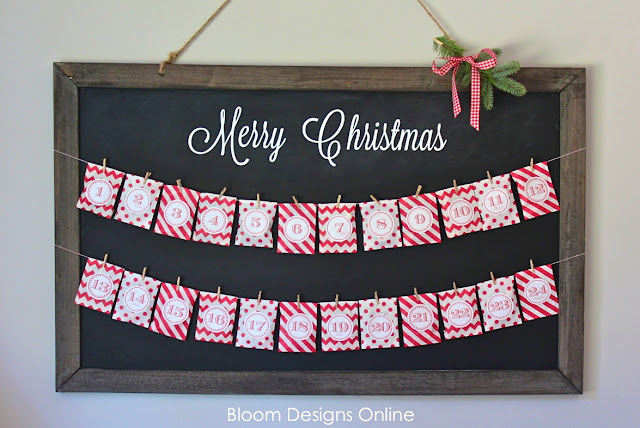 Tie the ribbon to your fireplace, across a bulletin/chalkboard, even to a wall. The possibilities are endless. Hope you’re enjoying some amazing fall weather. ENDLESS gratitude to the amazing Veterans who have served our country! So cute! I can’t wait to do this. Hi Jenny- I am a follower on Facebook, Pinterest, and email. Could you please email the the advent tags to- bobbi19901@yahoo.com. I also ordered the bumblegum tubes the other day. Would it be possible to also send the Turkey Tags for the bubblegum tubes too? Hi Jenny…I found your cute advent calendar on Pinterest. I am a new follower and would love the labels. Hi Jenny…I follow you on Pinterest and FB. I also get your emails! The bags are genius! That way you can change up the little gift each day, super cute. Love these! So glad to be a follower of Bloom :} I too would love the labels sent to: cameron.stimson@gmail.com Thanks so much! I’m a long time email follower. We did something similar for Valentine’s Day & would love to have this for Christmas. Send it please! add_Dragon@yahoo.com Thank You! 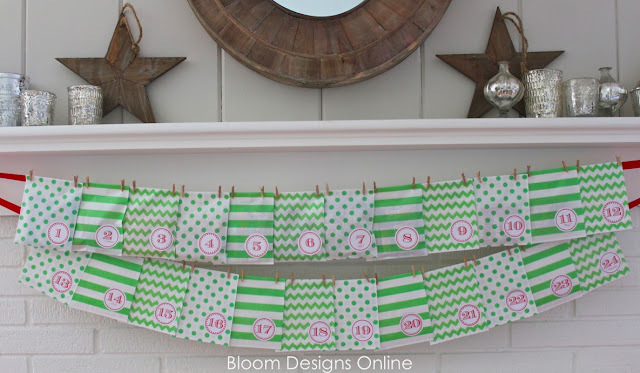 would love the labels for the advent calendar! too cute as always. shereeleone@gmail.com. thank you. This is super cute!!! I love your stuff. This is a super cute idea. I would love the labels. luv4zinnias@yahoo.com Many thanks! Love this. I’ve been a follower for awhile and now I’m following by email. Thanks so much for sharing the labels and I can’t wait to receive them. Another cute idea! I am a loyal follower on email, facebook & Pinterest. My email labels to my email at brockstars@gmail.com. Best Wishes! I just started following you via email and would LOVE the advent numbers! I would love the advent labels! This is such a great idea! I am an email, Pinterest, and Facebook follower! Thanks so much! This is a cute and CHEAP way to help my grandson pass the time. Please send. Hi, I am a new follower of you on Pinterest and email. Your advent calendar is so simple and cute. I really want to make one this year for my little boy. Please send your file of the numbers. What size labels do I print them on? Do u have any idea how I can transfer the numbers to fabric? I’m thinking of making little stockings. Hey there I am in love with your blog. Thanks for the free printable.. 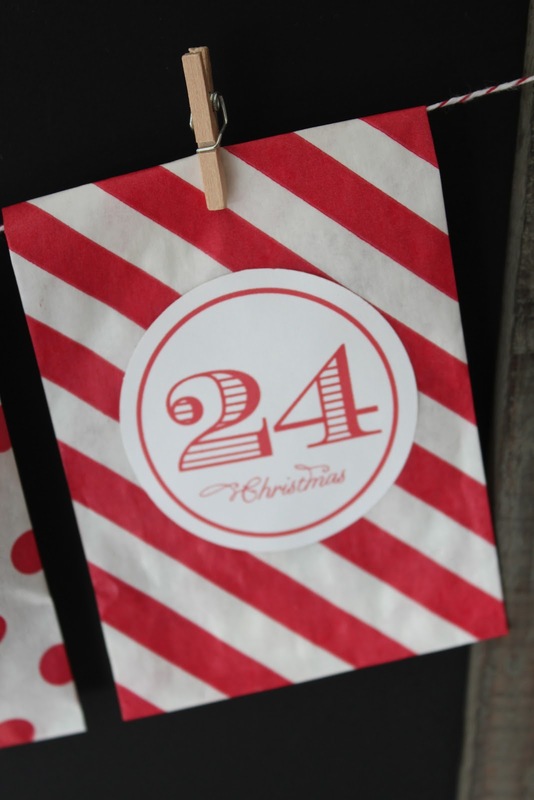 I am following via email and would love to create my own advent calendar…. What size labels would we use when printing? I’d love this printable!! Thank you! I am a follower on everything!! 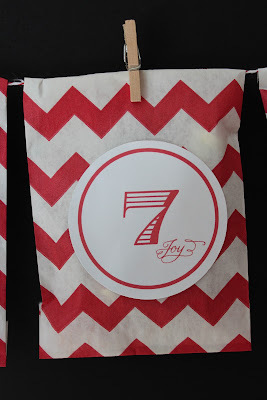 I love the Advent tags and can’t wait to make the bags. Please send. Thanks! Darling idea using these cute bags! Thanks for sharing! New follower by email. Could you email me the label file at strawberry2_0_0_0@hotmail.com? Thanks so much! New follower by email. These bags are such a great idea! Thank you for sharing the labels. I love this! I found you through a linky party and I am now following you I hope to see you over soon at Ashley Suzanne. Thanks for sharing your great ideas, Jenny! Advent calendars have been a special part of Christmas in my family since I was a little girl. I’m always amazed when I meet someone who has never heard of them… and I’m always happy to share the fun with them! thanks for sharing your ideas. Will you please share the printable labels with me. I am following you via e-mail. I’d love these cute labels! I started following you by email. Could you please email me the Christmas advent labels? marissa.ramsland@gmail.com Thank you! These are too cute! I would love the file so I can make them before the 1st! Thanks! Just signed up!! These are awesome. i am already a follower. Thanks. I am following by email can you send me the labels? Thanks so much! Great idea … I can’t wait to do this. Please email me the file. These look great! I think I’ll do it with the boys next year – when they are all a bit bigger.